The definition of a number is a word or symbol that represents an amount of people, things or units. 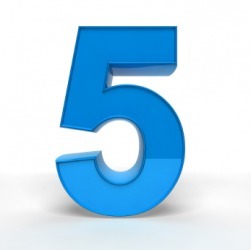 An example of a number is five. To number is defined as to count or to assign an order to people or things. An example of number is a pulled ticket at a deli giving the order in which a customer will be called. "number." YourDictionary, n.d. Web. 22 April 2019. <https://www.yourdictionary.com/NUMBER>. numbers Archaic Musical periods or measures. numbers used with a sing. or pl. verb Games A numbers game. To assign a number to or mark with a number: Did you number the pages of the report? To determine the number or amount of; count: Tickets sold for the show were numbered at 500. To total in number or amount; add up to: The ships in the harbor number around 100. To limit or restrict in number: Our days are numbered. To call off numbers; count: numbering to ten. To have as a total; amount to a number: The applicants numbered in the thousands. Middle English nombre from Old French from Latin numerus ; see nem- in Indo-European roots. The equation includes the most important numbers: 1, 0, , and . (Followed by a numeral; used attributively) Indicating the position of something in a list or sequence. Abbreviations: No or No., no or no. (in each case, sometimes written with a superscript "o", like NÂº or â„–). The symbol "#" is also used in this manner. To label (items) with numbers; to assign numbers to (items). I don't know how many books are in the library, but they must number in the thousands. Anglo-Norman noumbre, from Old French nombre, from Latin numerus, from Proto-Indo-European *nem- (“to divide"). You have my number, don't you? Soon they came into the main road where a number of the king's men were waiting.